Where are some good photo spots in Madison and Huntsville? I drove around today near County Line Rd and towards the airport and didn't really find much. what are you looking for ? .. i personally like backgrounds that kind of take away from the vehicle .. i want the car to just be a part of the shot more so than the focus of it .. I should've mentioned that lol. I love old rundown buildings. Any structures. Bridges. I'm the same as you....liking the car to be a part of the picture, not focused on one thing. Are there any really low traffic roads around? I've thought about going downtown, but I don't know of good areas for clearish pics and nice views. Where is that bridge? Last edited by ginia; January 7th at 05:44 PM. There's several great places downtown as well as places just outside he city. What type of shot do you want? If you post a example of what you'd like, I can recommend a place for the shot. With that said...drive around Decatur. I like pretty much anything, but old rundown buildings, bridges, downtown, are all my favorite type shots. I like the bridge shot Hoss posted. I'm just tired of doing open field shots. And. I have no dslr YET. It's definitely going to be a purchase once I find a job though. I only have my phone (eh) and a Kodak digital. I've already hit up NASA lol. I may go back since she's lowered though. Last edited by ginia; January 8th at 07:52 AM. So true, and with any equipment. Decatur has a lot of the industrial looks you're talking about. Some smaller towns like fayetteville may have some stuff you like. And don't worry about not having a dslr. I don't have one either. There's a few good spots for panning shots, but that's about it. Elkmont Alabama has some old buildings. Also there are some old metal bridges in southern TN giles / lincoln counties that are still passable and cool. Also there are many railroad tunnels that are still accessible. need to set up a cruise to these places and take pics. cruise up winchester rd to elora tenn .. lots of old structures there ..
some of the dirt roads have nice tiny bridges you can get a shot on or near ..
A few I have used. 303 williams street on the lower side. It has nice trees and a great brick wall back ground..................................... Any where that has the space and rocket center in the back ground is great................................. In front of the Redstone / V2 rocket on the corner of airport road and the southwest side of the parkway.................. See Randy at the Military Museum located at the old airport .he has a junk yard with airplanes and old army trucks/jeeps...................Another great location is below the Whitesburg bridge. .................................You can have great contrast by using the front of all the closed stores at haysland square. Old town in Hartselle or Decatur lots of good looking old store fronts for back grounds.. Any where around the park on each side of drake avenue.. The over looks on Monty sano have great back grounds year around.................. I think I will stop if you want more I will post later.. Good Luck..
Oooooo I'm gonna have to go the Military Museum for the junk yard. I loove old planes. Especially WWII stuff He just let you back there? would rather be out driving. 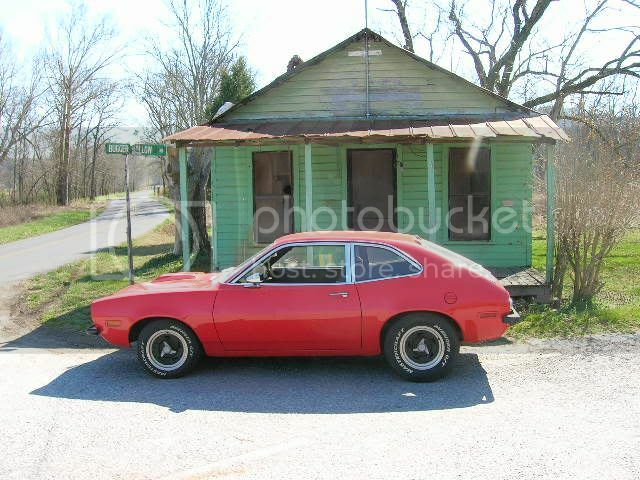 If you're wanting a small road trip there are some interesting locations in the Muscle Shoals. I'd give more specific locations over that way but I haven't been driving over there much since when I was in school there a few years back. Last edited by mactography; January 18th at 09:25 AM. Mact, spill the beans ! i would like to know locations ! I haven't lived in the Shoals area since 2009, BUT I'm going to try this based on memory. - I'd throw in the Natchez Trace but there's so many locations there up and down (especially since it stretches across I think 4 states) that I'll just throw out the name but no individual places. Disclaimer: I'm going to edit this post as I go. I'm sitting here trying to piece together locations from memory and doing my best with Google Maps. Not every spot is amazing but I think they all have their merits. Interesting shots can be set up in a lot of surprising places. I just wish I had a better camera because with this weekend's weather being awesome I'd love to take a photo journey day just to scout some of these places. Some of it i have seen ,some not . Still good advise. I suppose I'll go back on topic for the OP's sake too. I'll try and think of good Huntsville/Madison locations. Seems the endless farmland in west Madison (Greenbriar Restaurant area?) had been mentioned. Monte Sano and Green Mountain too. I'll try and see what I can come up with.